Bilberry curd cake – Mums! Merengue with double cream and wild berries – that’s as Swiss as pudding gets. The desert of my seven course tasting menu is a modification of this classical dish: Bilberry curd on a hazelnut sponge with a soft merengue topping served a on luscious double cream mirror. A mellow ending to a lip smacking evening. Curd: Sweeten 175 ml bilberry juice with 50 ml brown sugar. Simmer until the sugar is dissolved. Pour, little by little, over 2 whisked eggs, constantly whisking (if not, you’ll end up with scrambled eggs). Pour back to the saucepan, continue the constant whisking and simmer until thickish. Remove from the heat and stir in 25 g cold butter. Transfer to a jar and allow to cool completely. Cake: Beat 2 eggs and 200 ml brown sugar until really fluffy. Add 100 ml milk and 1 tsp vanilla extract. Fold in a mixture of 75 ml grounded hazelnut, 125 ml wheat flour and 1 tsp baking powder. Transfer the batter into greased portion molds and bake for 15 to 20 minutes at 175°C. Coulis: Reduce 50 ml bilberry juice and 2 tbsp brown sugar, until the consistency turns sticky. Allow to cool completely. Merengue: Beat 1 egg white stiff. Add 1 tbsp powdered sugar. Assembly: Top the sponges with curd. Pipe out pretty merengue heaps on your cakes. Torch the merengue topping with a kitchen torch. Be careful not to burn it. Serve the cakes on a mirror of double cream decorated with coulis dots and baby lemon balm leaves. Saw the photo and I knew I had to get the recipe. Going to try this for Christmas!!! 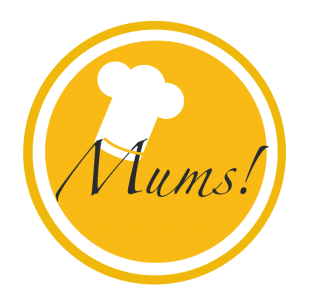 Pingback: Seven course tasting menu – Mums!